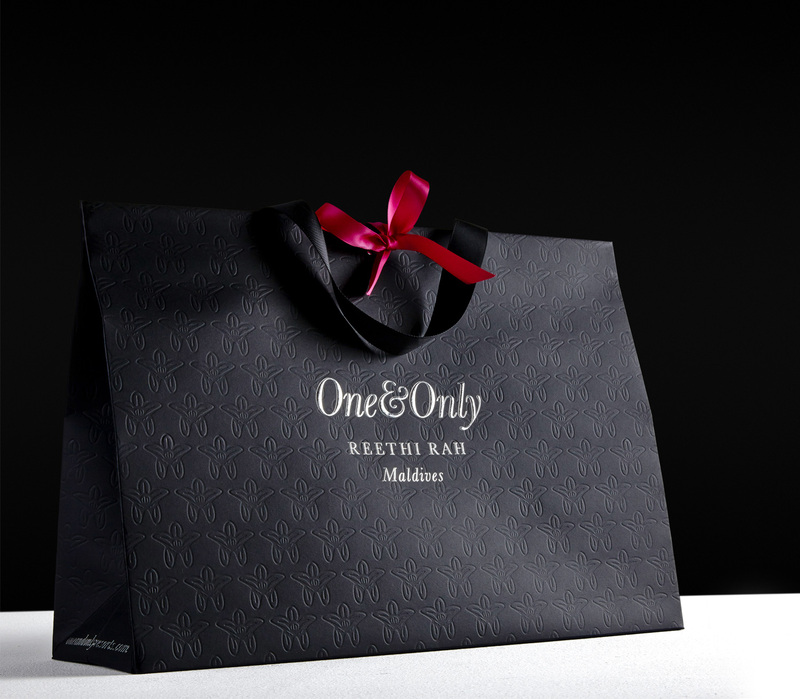 One & Only offer unique luxury resort experiences across the world. London-based Inaria have been their branding and design agency since 2004 and have helped the company develop all facets of their brand communications at every level. Inaria chose Progress as their partner to deliver packaging across a number of ranges at One & Only’s Cape Town and Reethi Rah resorts. 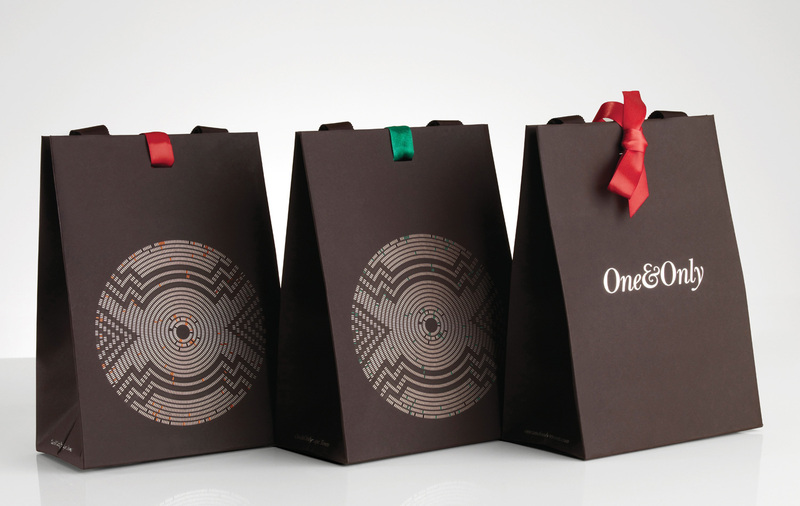 For their spa box and bag packaging range, transferring the intricate circular identity motif was a technically challenging process for Progress due to the four colour precision-registered foil blocking on brown paper. To maximise production efficiency, we manufactured custom paper in China where the bags were being maufactured at our factory. 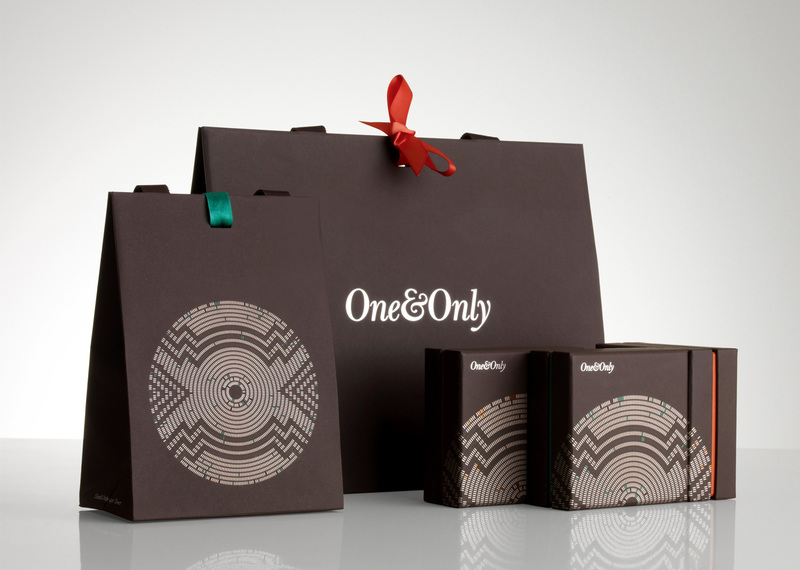 The boxes were produced at our factory in Europe and following production, both formats were delivered direct to the resorts. 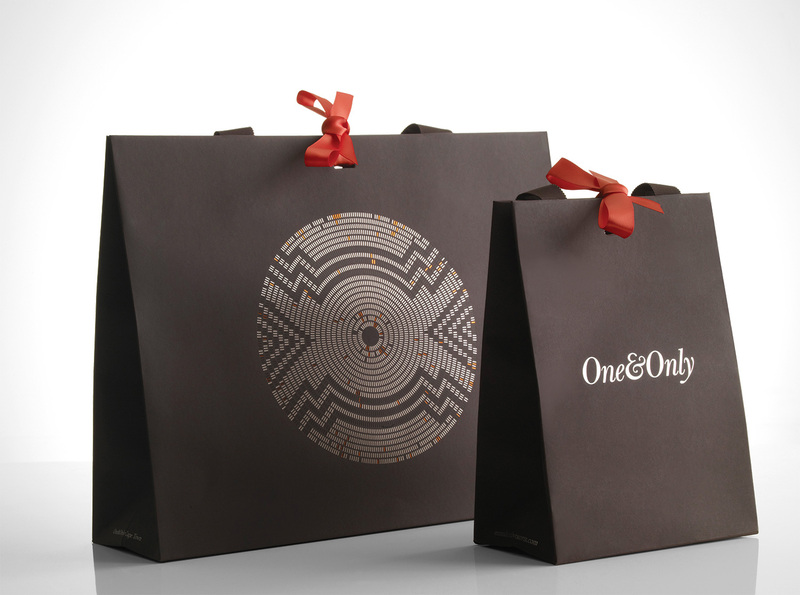 The closure on each bag was fitted with one of two different ribbons, colour-coded to the spa resort it was representing. 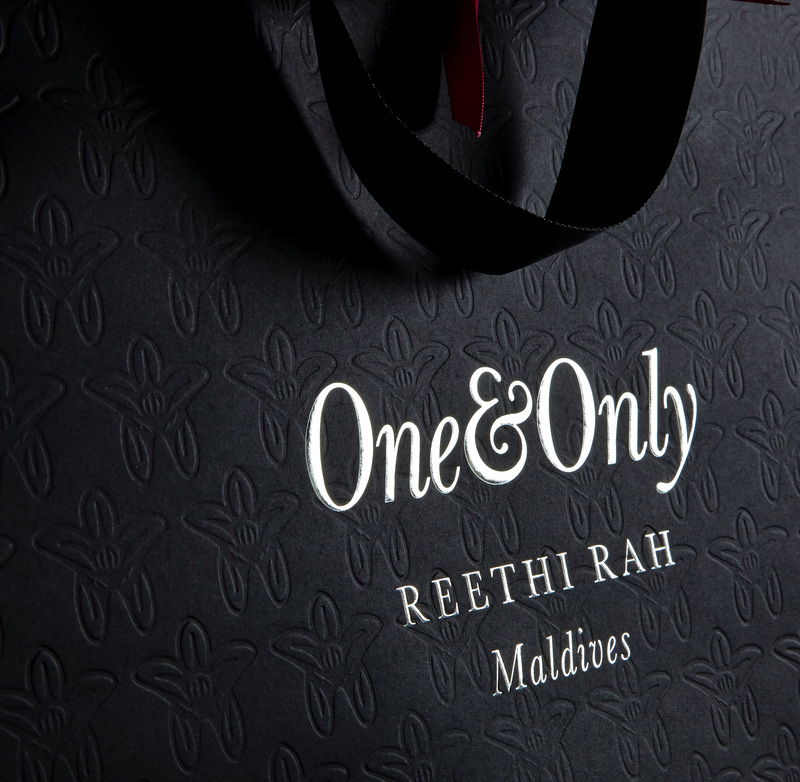 For their Reethi Rah retail packaging we created a custom tool for embossing the leaf design on the bags, which were again made from custom dyed paper. A raised foil blocked logo was also applied on the front of the bag to add an additional level of texture. 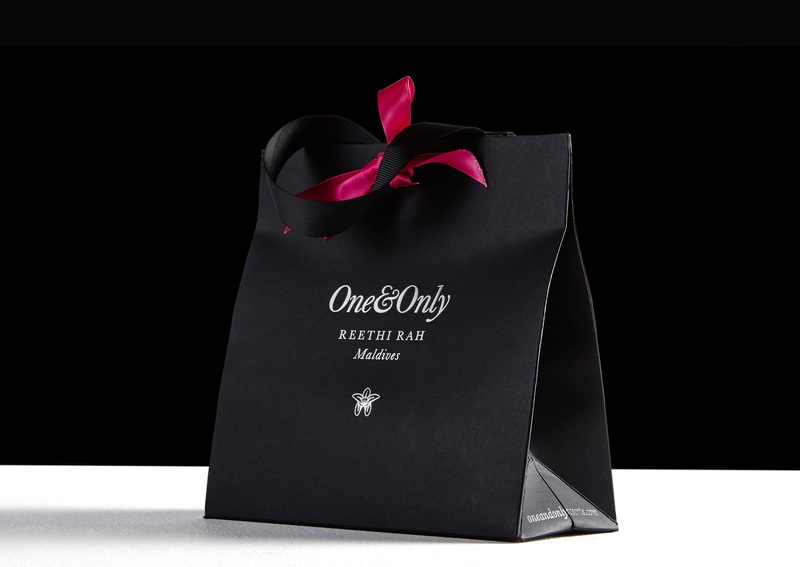 The carrying handles were made using 25mm grosgrain ribbon and were finished with a satin tie, custom dyed in cerise, to add an additional luxurious touch of elegance to the bag.